Christmas is almost here, and most people are restless, constantly trying to figure out what to gift their loved ones for the celebration. Whether it’s your parents, your siblings, your friends, your cousins, and even your colleagues, they all deserve the most thoughtful gifts this Christmas. During your search for the perfect gift, you’ve probably come across a few options. While some gift ideas seem appealing, you just aren’t sure they will be suitable for the object of your affection. 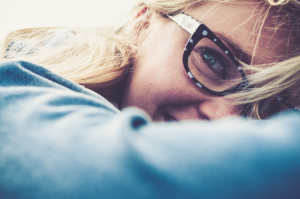 If you find yourself under this category, then you definitely should be paying more attention to getting personalised glasses cases for your loved ones. What are personalised glasses cases? Personalised glasses cases give you the freedom to design a glasses case to suit your fancy. You can customize your glasses case for your use or as a gift to your loved one. For Christmas gifts, you can customize a glasses case with a picture you are certain the other party would love. Firstly, Christmas is a special holiday which brings friends and family together. It is one of the most personal holidays there is. Giving your loved one a personalised glasses case can make him/her feel very special, especially if he/she makes use of recommended glasseses. You can find out what their favorite color is and design the glasses case in that color. As stated earlier, you can also put a picture of your loved one on the glasses case or any picture you know they would love. When you take time to personalize a glasses case, your loved ones can know the gift was well planned and wasn’t something you simply found while walking into a store. Secondly, despite being celebrated for just 12 days, getting your loved one a gift they will appreciate for months after Christmas, is important. Most Christmas presents wear out or fail to last, making the gift only useful for the holiday. With personalised glasses cases, you can be sure your loved ones will be making use of the glasses case for a very long time and also remembering you whenever they look at it. This will make them very grateful for it. Especially during spring and summer when it’ll be all about sunglasseses and glasses cases. Personalised glasses cases are very affordable. If you don’t have too much to spend for the holiday, or you have a large number of people you intend to buy presents for, personalised glasses cases are the best option. The glasses cases are both thoughtful and affordable. This way you can get Christmas presents for as many people as possible. Personalised glasses cases also give you an opportunity to explore your creativity. If you have a love for art, you will definitely have a great time customizing sunglasseses for your loved ones. Also, when they see how much personal effort you have put into their present, they will appreciate it more. A personalised Christmas glasses case might just be more appreciated than the most expensive gifts from a store. Personalised gifts are also suitable for everyone and every occasion. For Christmas, you might find a lovely clock but then find yourself wondering if your mum or dad (or whoever the gift is for) would want a new clock. This could be the case with shoes, dresses, wristwatches and so on. With a personalised glasses case, you don’t have to worry about this. Everyone wears glasseses hence, they need glasses cases. What are some helpful tips for customizing glasses cases? A customized gift would definitely touch the heart of your loved one, either perfect or imperfect. Still whatever is worth doing is worth doing well. These tips below can help you create the best glasses case for your loved one this holiday. Remember how the Christmas holiday is all about bright colors such as red, green, white and yellow? Take a hint from that and make your glasses cases very colourful! You could make use of colours you know the other party would love and make it look very catchy. If the glasses case would be gifted to someone mature, you can use subtle color combinations like white and black or blue and cream. Before going on to customizing a glasses case, ensure you have an idea of what the other party would like. If he/she loves the sunset, you can customize the glasses case with a picture of the sunset. You can also use sunset colors to customize the casing. 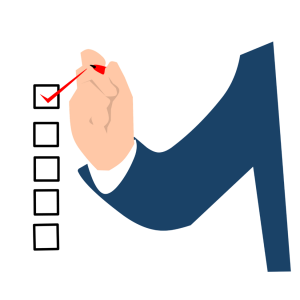 Before customizing, make sure you know all the little details you can include in the glasses case design which will make the other party always excited to carry the glasses case around. As stated earlier, adding images on the glasses case will make your loved ones appreciate it even more. It could be a picture of you two together; it could be a picture of a fun place you went or a nice picture of them. 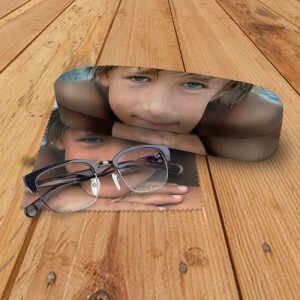 You can even make a combination of a ton of pictures to be printed on the glasses case. Either way, customized glasses cases with images will definitely make your loved ones smile. Why not make them remember? When personalizing a glasses case, it is important you leave an imprint always to remind your loved ones that you made the gift. It could be a signature by the corner of the case or your name. This way even if the glasses case is a picture of the person you will be presenting the gift to, there would still be a trace of you on it.